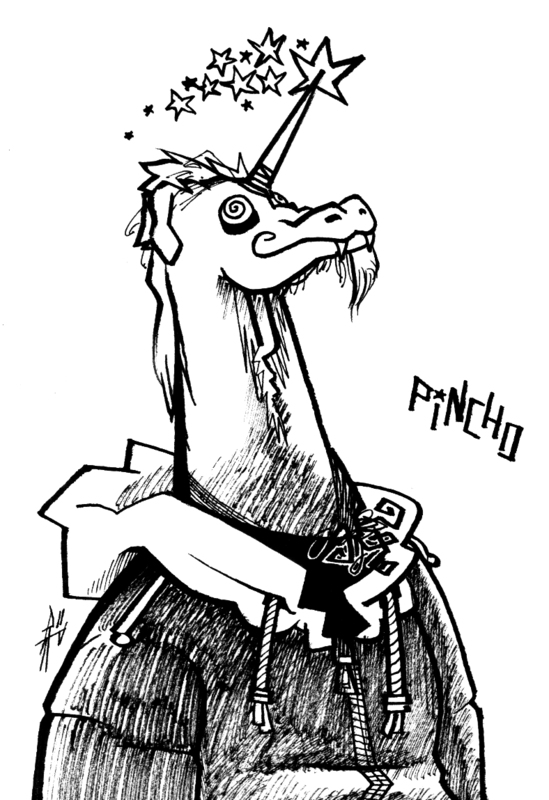 Decided to sketch one of my favorite characters, Pincho! You can probably see the influence from Barth in this piece – I rather like it. Comment and tell me what you think! 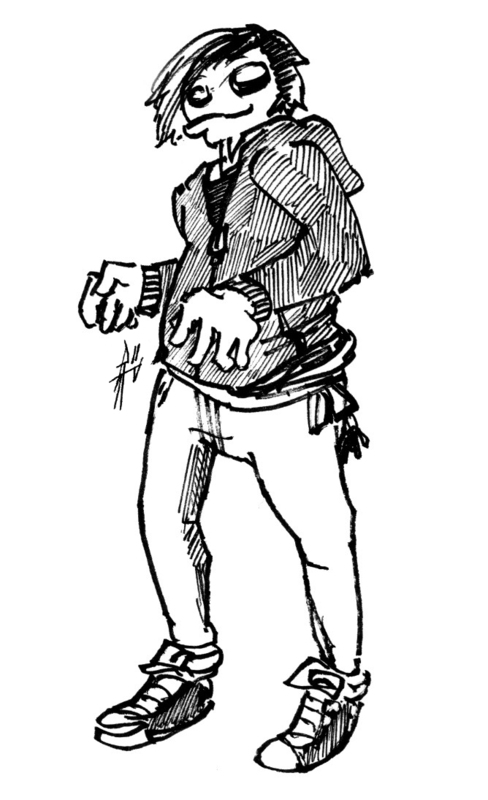 I have also sketched below a caricature version of myself. I felt I need to let loose and do some personal sketches rather than constant figure work. These flair pens are just great. I’m addicted. I really hope that I can eventually do the Body/Mind/Soul comic one of these days. This entry was posted on 03.04.2011 by Ryan M Paxton. It was filed under Artwork and was tagged with comic, graphic novels, marker, pen, sketchbook, sketches.